OC Sport Pen Duick, the French subsidiary of the global pioneer in event creation and management OC Sport, is delighted to announce the introduction of two new double-handed events for sailing amateurs. These innovative new events will see sailorsfrom around the globe experience what it’s like to race on the same course as the pros who compete at two of the company’sexisting offshore sailing events, the Transat AG2R La Mondialeand the Solitaire URGO Le Figaro. The organisation of these amateur events during the professionalraces will allow sailors to benefit from the same expertorganisation as the professionals, including on-water safety andrace management as well as the shoreside facilities. The concept, which builds on the existing amateur classes OC Sport Pen Duick already manages in the Route du Rhum–Destination Guadeloupe, will come into play for the next edition of the Solitaire URGO Le Figaro. 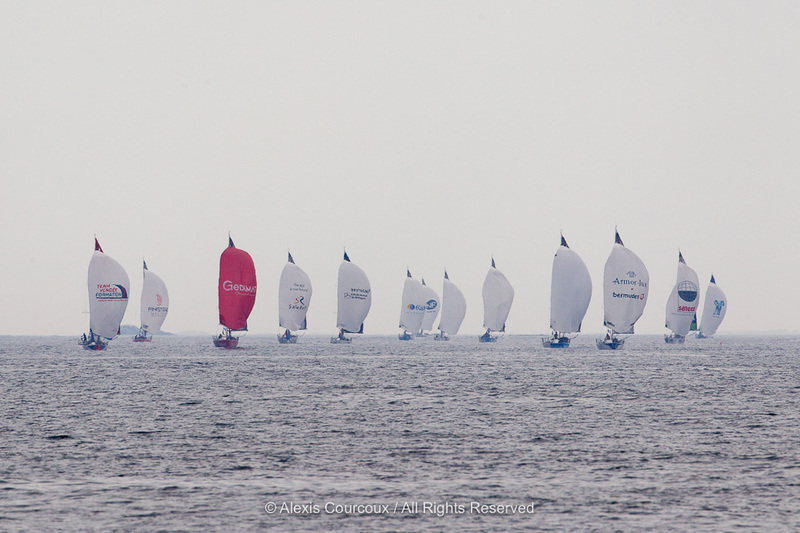 Taking place in June 2019, amateur crews will be invited to participate in an independent race on the same course and in the same conditions as a leg of the Solitaire URGO Le Figaro. Considered to be the world’s leading annual solo sailing race, and a flagship event in French offshore sailing, the amateurs will line up for their own race on the same start line as the professionals from a host city in France that will be announced by the end of the year. They will race double-handed between400-500 miles on yachts under the same IRC rating range while the professionals race solo on the new foiling one-design Figaro Beneteau 3. For sailors who want to take on the challenge of a double-handed transatlantic marathon, a new amateur division will be introduced for the next edition of the Transat AG2R La Mondiale in 2020. The race takes place every two years and covers a distance of 3,890 nautical miles from Concarneau, France to Saint-Barth. For the first time, the professionals will also race on the latest Figaro Beneteau 3, while the class of boat for the amateur division will be confirmed by the end of this year. “We want to encourage participation in short-handed offshore sailing and so in order to remove barriers to entry, there will be no special qualification system the Solitaire Urgo du Figaro new event. All entrants will race within the same range of IRC rating, meaning there will be one category and one real time winnerwith no handicap calculation, making the races easy to followand the competition all the more intense,” Sarrot concluded. Hervé Favre, Co-CEO at OC Sport in charge of sailing, commented: “We are really proud to introduce this new opportunity for amateur sailors as it is perfectly in line with our company ethos to create and deliver unforgettable sporting experiences, and embodies our sailing strategy to create apathway to the professional end of the sport. Entries for this new event within the Solitaire Urgo du Figaro will open with the release of the Notice of Race in Decemberduring the Paris boat show, while the Transat AG2R La Mondiale Notice of Race will be available early 2019.